For some new parents, taking care of an infant can be an overwhelming task. While traditional approaches to parenting are always useful and avoiding unnecessary purchases can be a practical option for the wallet, for some parents looking to incorporate new technology and parenting aids, some new technology in baby care items may be just the thing for a new baby registry, in addition to the necessities. Technological gadgets now help make life easier in just about every aspect of daily life, and infant care is no different. 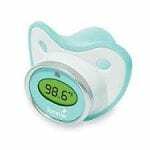 Here are some items that new parents may find helpful if they are looking for cutting edge baby technology. Babies have immature immune systems. Because of this, they are prone to illness. It’s one reason why breastfeeding is best for an infant. Breast milk contains antibodies that can help the child’s system to fight pathogens. Infants often run fevers. There was once a time when the only way to take the infant’s temperature was with a rectal thermometer. But parents today have a pacifier thermometer. Just pop it in the child’s mouth. He or she is already used to the pacifier and is unlikely to object. Wait a moment or two, and a reliable temperature reading will appear. With this gadget, you can have the proven sleep-inducing benefit of a car ride without ever leaving home. It’s a combination swing and bouncing chair. It has five settings, including one that simulates the movement and sounds of a car ride. Sometimes infants fuss, scream and cry endlessly for no apparent reason. When no amount of consolation will quiet your child, this product works to give comfort to your child and blissful silence to you. It imitates the sounds that the infant heard all those months while in the womb, causing a natural calming reflex to quiet the child. Some parents are constantly checking on their infants to be sure they’re still breathing. The Snuza offers these parents peace of mind by acting as a constant breathing monitor. It’s a small plastic device that clips onto the child’s diaper. If no movement occurs for 15 seconds, a loud alarm will sound. It offers additional peace of mind for parents concerned about SIDS, or Sudden Infant Death Syndrome. For unknown reasons, the infant simply stops breathing in his or her sleep. SIDS typically affects infants around three months of age. It’s almost never seen past the age of one. Infants love mobiles. But the Watch Over Me Dream Station takes the mobile a step further. It can actually sense your infant’s stage of sleep and then respond with the right kind of entertainment to lull the child back to sleep again. It may save you endless trips from your bed to the crib, not to mention helping the child learn how to get back to sleep on their own. Gerry looks like a plush toy, and he is very, very cute. But he’s more than that. He attaches to most car seats and bouncers and provides a soothing rocking motion. With Gerry around, there’s no need to invest in several bouncers for use in different areas of the house. Toothbrushing time sets the stage for the age-old battle of wills between parent and toddler. Address this issue early with finger puppet toothbrushes. 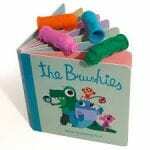 The kit comes with four finger-toothbrush characters and even includes a fun little book. If introduced early enough, children learn that toothbrushing can be fun. This is a high-tech baby monitor. CloudTot watches your child’s movements and notifies you by phone if the infant’s movements aren’t normal. It works with the DockATot infant lounger and also monitors breathing, wetness, noise levels and ambient room temperature. Of course, a stroller is a necessary item for any parent. But this one weighs just 11 pounds and folds down to fit in a diaper bag—perfect for public transportation situations, which demand that all strollers be folded before boarding. It frees up the parent’s hands, too. These items are just a small sampling of the vast array of imaginative gadgets intended to make your parenting easier.